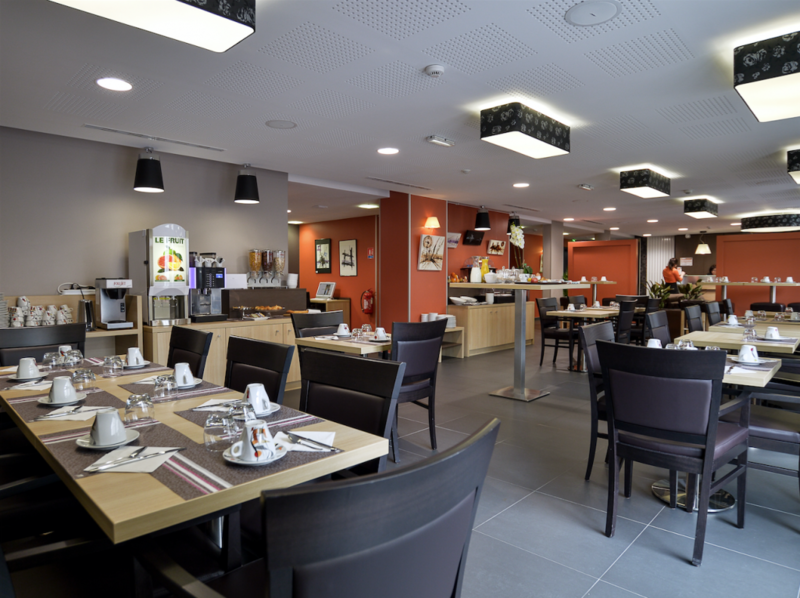 The Privilodges apartment hotel in Clermont-Ferrand city center (Carré de Jaude ***) consists of 136 furnished apartments, from studios to two-room apartments. 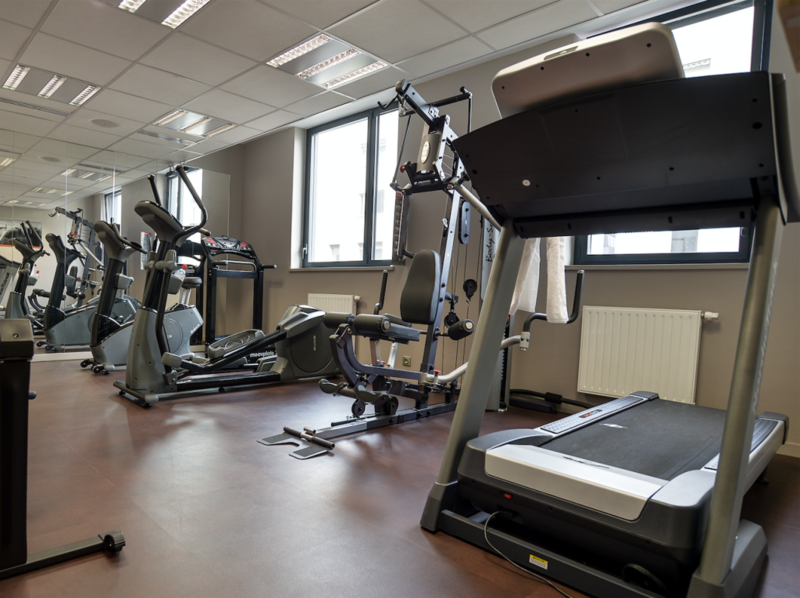 The apartment hotel offers all the amenities and services you need to make your leisure or business trip to Clermont-Ferrand a success. The apartment hotel is located in a modern building, with fully equipped and furnished premium apartments. The Privilodges Carré de Jaude team will welcome you with a friendly smile and handle your every need, 24/7. During your stay, make the most of a convivial and bright breakfast area. You will also enjoy the terrace lounge area, with comfortable sofas surrounded by greenery. Access by car is equally easy, with a public car park (Vinci Park) located beneath the building. 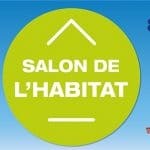 Our apartment hotel in Clermont-Ferrand is easy to access by public transport, with a tram stop directly opposite the building. 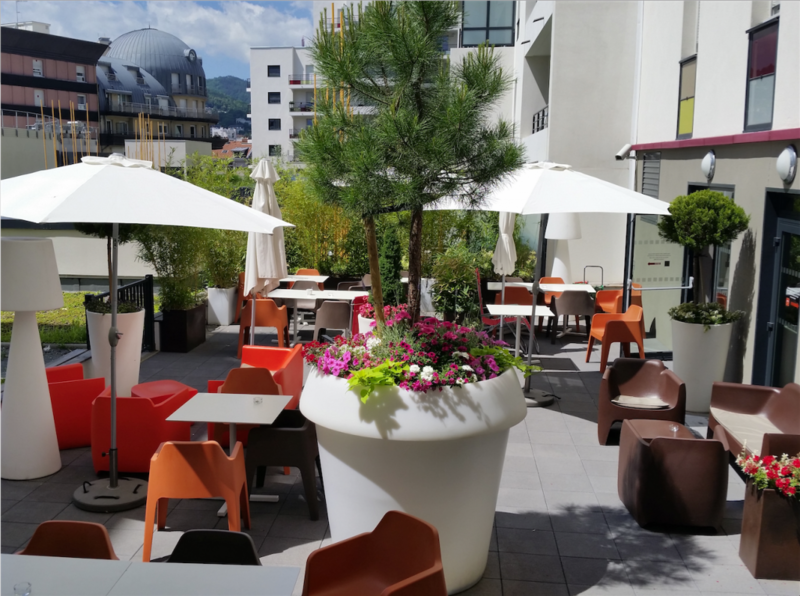 The hotel is on avenue Julien, opposite the well-known Place de Jaude, at the heart of the bustling historic center of Clermont-Ferrand. 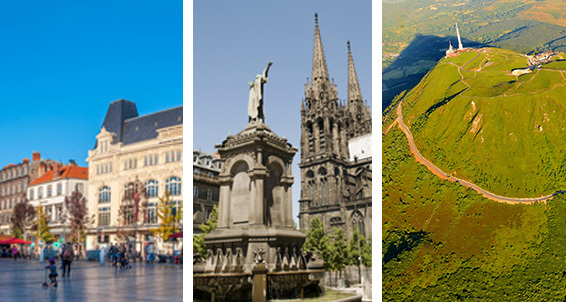 This prime location is a stone’s throw from the shops and historic monuments of the Auvergne region’s lively capital city. 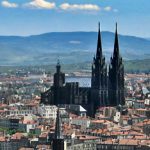 You will be within walking distance of the Notre-Dame-de-l’Assomption cathedral, the Lecoq gardens, the Place de Jaude shopping district, the opera house and the municipal theater of Clermont-Ferrand.